from durable galvanized tubing, the engineered design and precision manufacturing allow for sizing flexibility from 2 foot to 8 foot widths, to any length in 2 foot increments. 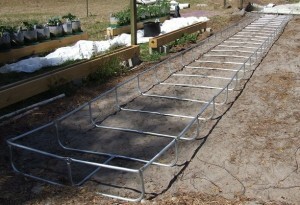 The modular design makes this an ideal frame for backyard growers to large commercial operations. The RaftMaster™ is carefully designed to utilize only a few different components and with the step-by-step assembly manual, the frame can be quickly assembled. Bulky wooden frames that warp, rot, and are insect-prone are now obsolete! No more wasting your time measuring, cutting, nailing, and painting! Time is Money: Why waste your time trying to build a frame out of wood? Plus cutting out materials, trying to figure out how to put it all together, and then painting it? We’ve done all the hard work and produced an easy to assemble frame! treated with nasty chemicals to prevent rotting or is painted. Eventually the lumber becomes infested with termites, fire ants, carpenter ants, or other wood-boring pests. Complete Kit: The RaftMaster™ frame comes with everything you need: Frame components, screws, bolts, and liner clips. 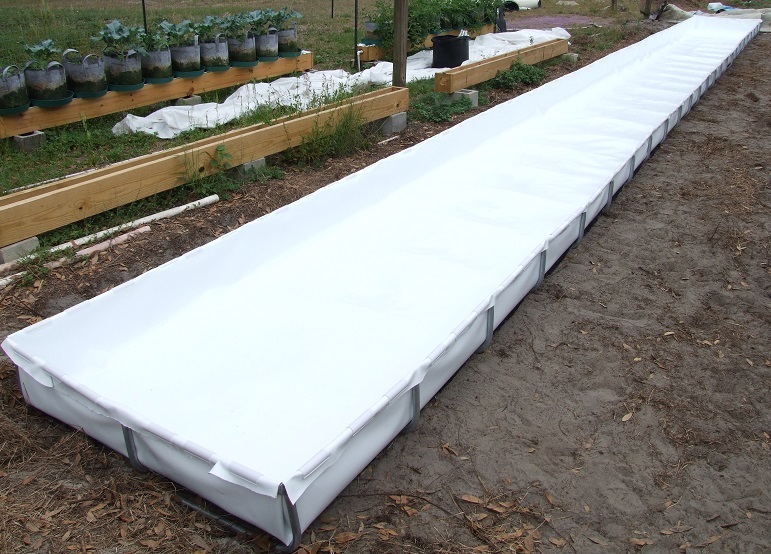 Just add the liner and your deep water culture bed is ready! little wiggle room for the liner and raft movements. 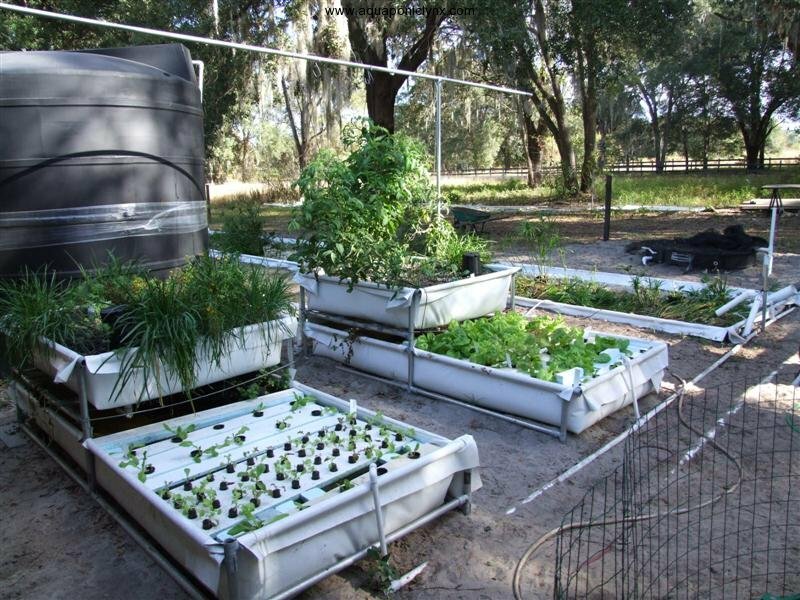 the RaftMaster™ will accommodate almost any growing space. 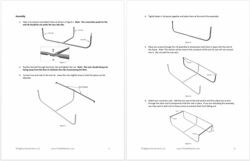 Easy Assembly:; We provide a detailed step-by-step assembly manual that contains accurate and concise diagrams. There are only a few unique parts and with the simple instructions, you’ll probably just ignore the instructions once you start assembling! 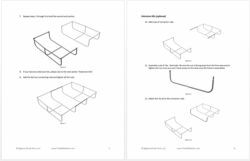 beds can be assembled and then moved into their final location. Strong: Although you shouldn’t do this, we have walked along the edges of our frames and they didn’t buckle under the weight of an adult. material used to construct many commercial greenhouse. This will provide you with years of dependable use. FREE Shipping: Complete RaftMaster™ sets are shipped for free to anywhere within the continental United States. As with any galvanized product, we don’t recommend using this in areas with excessively high moisture and salt levels. of UV light they receive, they should last 3-5 years before being replaced as needed. The RaftMaster™ bed is designed to be installed on a clean and level surface. entire area should be completely clear of any debris that may puncture the liner. A puncture-resistant liner (such as DuraSkrim, UltraSkrim, or ToughSkrim) should be used. Plastic films that do not contain reinforcement fiber should be avoided. When filled with water, the total weight will be roughly 60 pounds per square foot. Please make sure your area is capable of supporting heavy weights. Even though we mentioned this is strong enough that we can stand on the edge, you should not. It is not designed to support human weight, plus you would probably fall in the water! We also sell Air Diffusers for use in raft beds. About .5 CFM (cubic feet per minute) of air is recommended for every 16 square feet of bed. A Real set up under construction and planted out. Price includes shipping (within the Continental US) as long as you are getting at least one RaftMaster™ Kit with the purchase. If you are shipping outside the Continental US, please contact me before putting in the order. http://www.aquaponiclynx.com/contact Let me know what you want to order and where you need it shipped so I can get the price with appropriate shipping for you. Just skimmed the page.. What’s the depth of the raft? The whole bed frame is Aprox 12 inches deep. What keeps the liner from sagging out through the frame? The gaps seem rather large. Do you have pictures of the system in use? Under the bed, the ground/floor/or whatever you place the bed on needs to support the liner on the bottom. On the sides, the clips securing the liner along the top edge keep the liner from falling down and gravity pulling down on the liner keeps it from bowing out on the sides, the liner needs to be secured tight enough so that it is pulling down on the sides rather than having enough slack to push OUT. It is recommended that a string reinforced or scrim liner be used so that it has enough structural strength to support the weight rather than stretching. That similar construction method uses larger pipes and clamps and is not something I ever managed to make a really good kit for. This new product should work well for the on the ground raft beds though it may not be able to support an off the ground media bed without a very sturdy platform built separately. 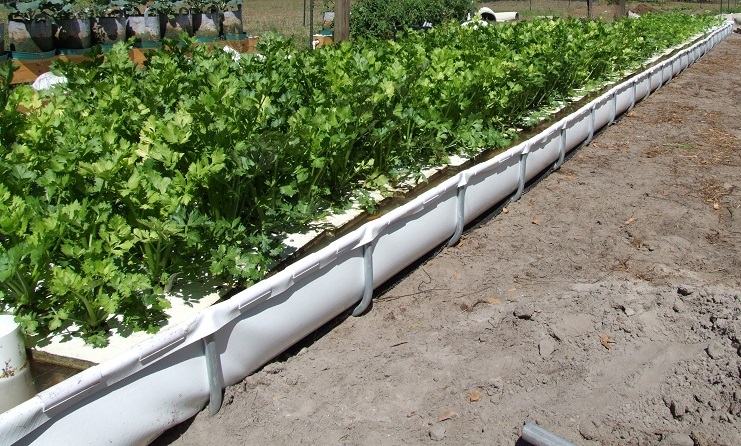 There are pictures above in the post with the raft master bed I have in use growing celery. Is the above pictures made from fence top rail and fence ground post? If so what is the gage of the pipe? The Raft Master in the Above post is NOT made with fence rails. The Picture below in reply to Paul, is made using Fence rails that are 1 3/8″ rails and they are either 17 or 19 guage. Would you mind sharing how far apart the ground post are and how deep into the ground they go? Also did you have to give the bed any more distance to account for the width you wanted? In the picture the vertical posts are about 4′ apart. On other set ups for other purposes I’ve done 5′ apart and maybe even 6′ if the pipe was heavy weight and the planned load on the bed was small (like shallow or very narrow.) If you put the pipe into the ground you have to make sure it won’t sink into soft sand. The fence rail rig in the above picture does not have the posts going into the ground, the verticals are actually sitting on concrete blocks to keep it from sinking into the sand. The way the clamps are placed in all three dimentions keeps the rig from collapsing. Did I have to give the bed any more Distance to account for the width I wanted? I’m not sure I understand the question. The pipes have thickness and then there is also the liner and the clamps and if you want to have space for an air line or other plumbing to go down into the bed where you will also have a raft floating you will want to make the bed wide enough and long enough to account for the size rafts you plan to use or if your space is tight you might have to make your rafts smaller to account for the size you build the beds. My original beds were built at 48″ from pipe to pipe (because the liner was only 6′ wide and I made my original beds a little deep) and I made my rafts 44″ to take that into account. Perhaps I should have made the beds sized for 48″ wide rafts but at the time I started doing this there really were not pre made commercial rafts available for purchase yet so I was making my own and once you have a standard size on a farm you want to kinda stick with it. Sorry your comment got missed before. Are you still looking for the hardware? Where did you get your original Raft master, the hardware should have been included. If you tell me what parts you are missing I can probably source them if you are still in need.